But you know that. If you’re gonna do this, you might as well go in with some sort of game plan. Our advice? Stay inside and shop online where you can, be aware that most of the best deals are stocked in hilariously low quantities and don’t be stubborn and buy some no-name Android tablet just because the sign says it’s 80 percent off and, well, they’re out of the TV you wanted anyway. We’ve had roughly 4 billion Black Friday deal emails hit our inboxes over the last month. We’ve sifted through most of them to try to sort out the junk. We’ll keep adding new deals as we find them, so check back on the regular. Many (most?) of these are already live, unless otherwise noted. If you’re trying to load up on Amazon’s own gear (things like the Fire TV stick, or the Echo), Black Friday is one of the best days to do it. Plus, since it’s all online, no waiting outside in the cold for you! Fire TV Stick: $25, usually $40. Fire TV Stick 4K: $35, usually $50. Fire TV Cube: $60, usually $120. Echo Sub with 2 Echo Plus: This one’s a combo pack, but it’s $330 for something that would normally cost $430 separately. Our own Matt Burns checked out the Echo Sub and liked it. Two-pack of Echo Spots: $160 for the pair. It’s normally $260 for two. This one is kinda weird, in that you have to add two to your cart and get to the final step before you’ll see the discount — but as of 11/19, it’s working. Amazon’s audiobook service, Audible, is usually $15 per month. This week they’re selling three-month plans for $7 per month. That gets you one audiobook per month (plus two Audible Originals)… so, in a roundabout way, you’re getting three audiobooks for roughly $21. Just remember to cancel when you’re done if you’re not using it, as the price jumps back up to $15 after three months. Set up a calendar reminder or something, if you have to. Buy one Pixel 3 or Pixel 3 XL, you can get a second one 50 percent off. Just need one? The Pixel 3 will be $150 off its normal price ($649 instead of $799), while the Pixel 3 XL will be $200 off ($699 instead of $899). Google Home Hub, Google’s first Home device with a big ol’ screen on it, is being dropped from $149 to $99. Google Home Mini, usually $49, is dropping to $25. The standard Google Home will drop from $129 to $79. Chromecast is going from $35 to $25, while the 4K-friendly Chromecast Ultra is going from $69 to $49. The Pixelbook will drop from $999 to $699. All of these will be available on Google’s own store but, again, they don’t go live until 11/22. Living that Android life, but don’t want a Pixel? Samsung has cut a few hundred bucks off both of its current flagship Android smartphones. The Galaxy S9 (64GB, unlocked) is currently $520 — down from $720. The bigger, beefier S9+ (64GB, unlocked) is down to $639, usually $839. The same $200 discount applies to all capacities, so you can bump it up to 128GB or 256GB if you need the space. Sony is making a huge push this season by selling the 1 TB PlayStation 4 Slim, usually $300, for $199 at most major retailers. Better yet: It comes with a copy of Spider-Man, the new(ish) and absolutely fantastic PS4 exclusive that ate hundreds upon hundreds of hours of my life. They’re pushing this sale at all the big-box stores, so you have your pick. You can find it at, for example, GameStop, Target, Walmart or Best Buy. You also can get a year of PlayStation Plus, usually $60, for $40 from Walmart or Amazon. It’s a digital renewal code, so even if you’re not ready to renew right now, you can hang on to it for later. It’s not quite as good as the PS4 deal — but if you lean heavier toward the Xbox camp, Amazon has 1 TB Xbox One S with Battlefield V or with NBA 2K19, each for $230 (usually $299). Need more controllers? Starting on Thanksgiving Day, Microsoft will also be selling controllers for $40 — down from the normal price of $60. Walmart is price-matching the deal a little early, though the price isn’t showing until it’s in your cart. Got your sights set on the highest-end Xbox, the Xbox One X? It doesn’t come with any games, but both Amazon and Walmart have it marked down to $400 from its usual price of $499. Apple doesn’t really play the Black Friday game. As a result, there are only a handful of Apple-related deals this year — expect stock to be super limited, and most of them won’t go live until Thanksgiving Day. 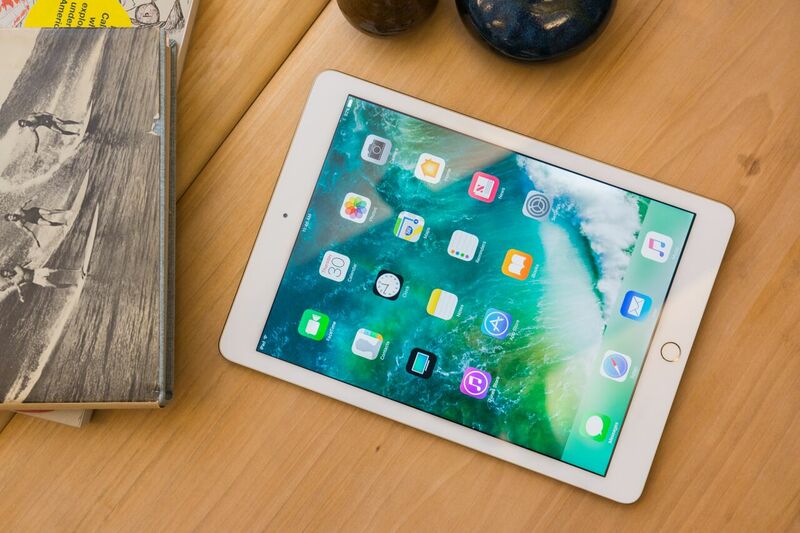 Walmart, Target, Costco and Jet will all be selling the 2018 iPad (32 GB) for $250 — down from the usual price of $320. Best Buy, meanwhile, will sell the 2018 iPad (128 GB) for $329 — down from $429. Target and a few other stores, meanwhile, are dropping the Apple Watch Series 3 down from $279 to $199…. but be aware that this is a generation behind, as Apple has already moved on to Series 4. Sonos doesn’t often do sales on its speakers, but they’ve got a few lined up for this week. These won’t actually start until Thanksgiving day — but once they do, they should be available on Sonos.com and run until Monday, 11/26. Sonos One, the company’s compact speaker with Alexa built in (and pictured above), will drop from $199 to $175. Sonos Beam, their smaller soundbar, will drop from $399 to $349 (alas, there’s no official deal on the company’s bigger, badder soundbar, the Playbar — but Amazon has a deal going right now that keeps it at the normal $699 price but also throws in a wallmounting kit and a $50 Amazon gift card). The Sonos SUB, meanwhile, drops from $699 to $599.